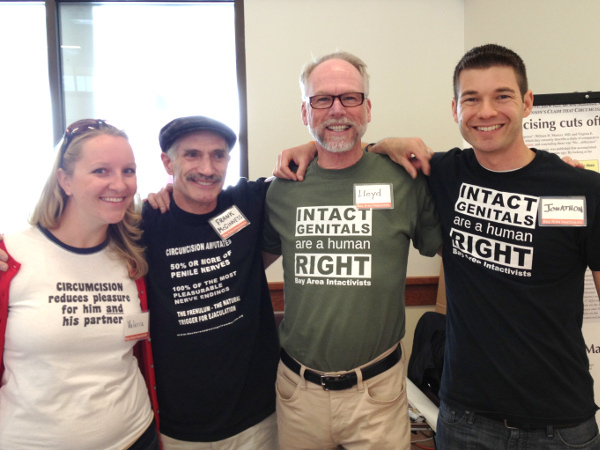 Four members of the human rights organization Bay Area Intactivists staffed a booth in Campbell, California at the recent Bay Area Birth Information Meet BABI event to educate attendees that infant circumcision is both medically unnecessary and harmful. 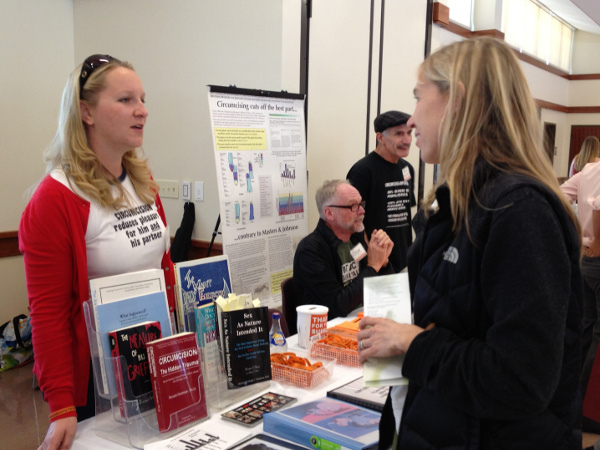 The intactivists distributed a broad assortment of literature covering topics such as how infant circumcision impedes breastfeeding, the damage caused by forced foreskin retraction, and non-surgical foreskin restoration for adults. 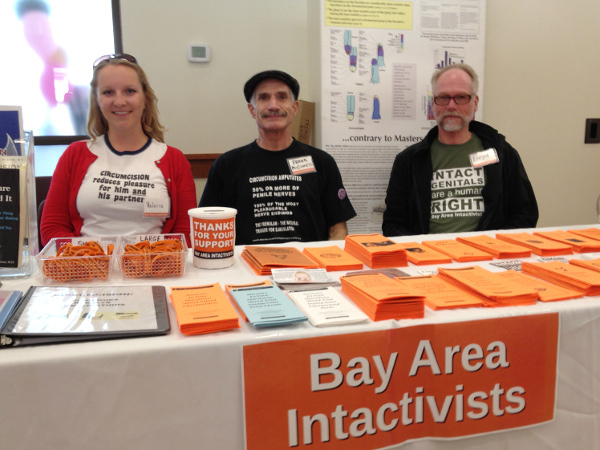 Stickers, bracelets, and buttons were also among the free items available to visitors to the Bay Area Intactivists table. 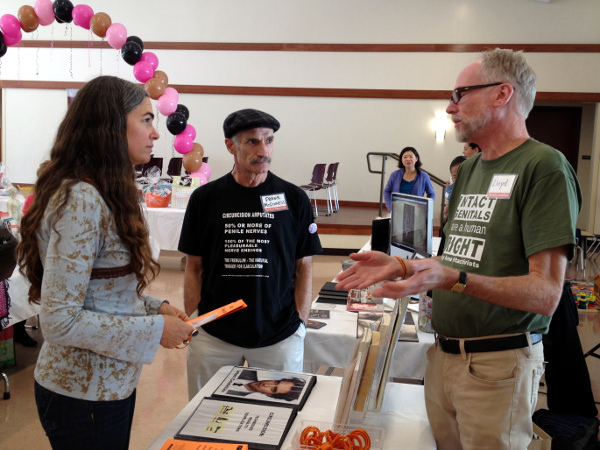 Bay Area Intactivists will also have a booth at the San Francisco Birth & Baby Fair on Saturday, June 22 in San Mateo, California.